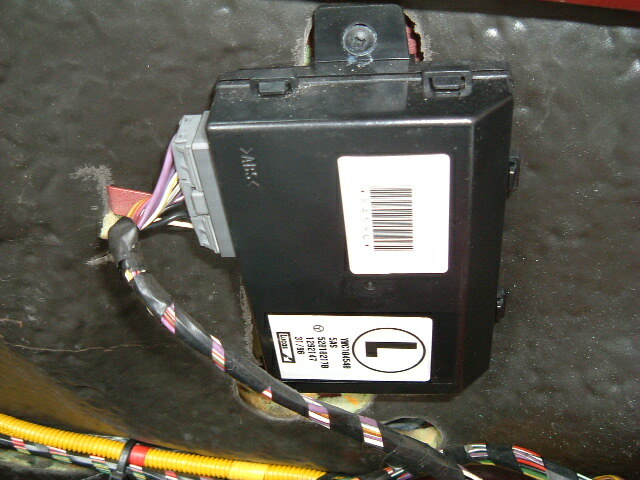 The 1997-2000 Rover Minis have a factory installed alarm/immobilizer system that is difficult to service, especially if you live in the United States. This is because Rover no longer exists and the ’97-’00 Rover Minis were not exported to the US. If you lose your remote key “fob”, you cannot start the car… EVER. This is what I was told by a very respected Mini expert. However, I learned there are solutions if you lose your fob or otherwise destroy the fob (eg. dropping it in the pool is a favorite one). I’ve spent many hours researching the solutions and what you will read in the following paragraphs is the summary of that research. Please contact me if you have more information or corrections! If you own a Rover Mini, please join the Rover Mini Owners Group on Facebook Most, if not all, of the Rover Minis of this era are equipped with the Lucas 5AS alarm / immobilizer system. 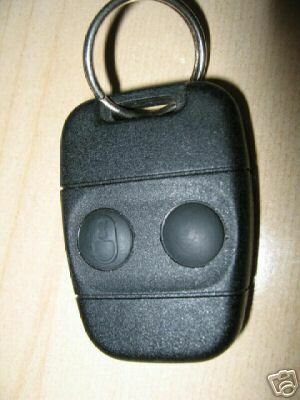 Most common “fobs” (the plastic remote for your keychain) are the 2-button 3TXB, 3TXC, and 3TXA fobs by Lucas. Note however, that the 3TXA fobs will not work with the later versions of the 5AS (saw it mentioned on a forum posting; have not verified personally). So, I would stay away from the 3TXA fobs as candidate spares unless you feel adventurous. My Rover Mini came with a 3TXB. Moreover, there’s the Lucas 17TN fob that is commonly found on places like eBay and this 17TN fob reportedly works with the 5AS unit. I have tried it myself and the 17TN does indeed work. Option 1: With help from some folks in the UK, you can buy a small device that will program your 5AS unit to accept one or more new fobs. This is my favorite choice, but it did not work with my car for some weird reason. Option 2: You can remove the 5AS unit inside your dash and mail it to folks in the UK who will program your 5AS to accept one or more fobs. This is what I did and it worked. Option 3: You can remove the 5AS unit inside your dash and mail it to folks in the UK who will install a Bypass Circuit Board that will permanently disable the immobilizer feature. Please contact me if you find other options! Before we go into the details of each option, some Q&A: What do you mean by program the 5AS to “accept one or more fobs”? It is the 5AS unit (in the dash) that is “programmed”, not the fob. I know, it seems counter-intuitive, but remember that the 5AS is the intelligent device and the fob is the small dumb device. The fob just has a hard-coded serial number. Each fob is unique. So what you do when you program the 5AS is you put the 5AS in “learn” mode and tell it which fobs are kosher by pressing the fob buttons while in learn-mode. After exiting learn-mode, the 5AS will ignore all fobs except the ones you told it to accept while in learn-mode. The fobs themselves are never “programmed”. Where is the 5AS unit in the Rover Mini? In the dash near the radio. You usually have to remove your radio to get at it. How to identify your immobilizer unit [archived version]. When I removed my 5AS unit, I removed the radio and the DIN sleeve holding the radio. The 5AS in the Rover Mini is mounted vertically such that there is an upper screw and a lower screw. With the DIN sleeve removed I used a Bend-A-Light flashlight to get a good view of the two screws. Then, I used an 8-inch long #2 phillips screwdriver to remove the two screws. You need a long screwdriver to reach the top screw (it also helps to have a long screwdriver for the lower screw). I’m happy to help any Mini owners with removing and installing their 5AS. The fobs that the 5AS knew previously will be forgotten: reprogramming wipes the slate clean. So, you’ll need to have all fobs (old and new) go through the “learn” mode process. The diagnostics socket is typically located under the dash and near the steering column. The diag socket looks like a standard 16-pin, triangular-ish OBD2 port, but it doesn’t talk OBD2. The car doesn’t speak the OBD2 protocol. It’s proprietary and talks to a Rover technician’s computer called Testbook (the later Rover T4 computer might work too, the T4 is reportedly backwards-compatible). The pod is configured to work only once (or only a certain number of times depending on how much you pay). I’ve been very happy with the service from David at alarmremotes.co.uk who sells this programming pod (called the “ROV2”). You put down a deposit that is refunded to you after you return the used-up pod to him. David includes a better, more durable fob too (called the MT2). 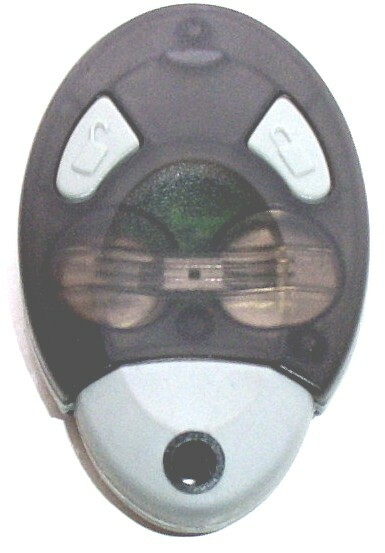 The MT2 fob has a unique key code that can be used to order an exact replacement fob. This is an excellent feature because it means you won’t have to reprogram the 5AS when you lose the MT2 fob. A clone can be shipped to you based on the key code. tech-tronics.net sells the programming pod too (called the RPD, Rover Programming Device) and they don’t need the pod itself returned to them. If you discover how these pods are made, please let me know and I will share with the Rover Mini owners group. NOTE: The pod did not work with my Rover Mini (I tried two different pods, one pod was definitely good because it was used by David on a car immediately before mine). 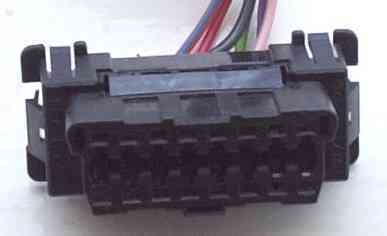 Seems that the wiring between my diag socket and the 5AS was altered previous to my ownership of the car. It’s possible that this happened when the radio was installed (I don’t have the stock radio). Make sure the fob battery is not weak or dead. The fob may be out-of-sync with the 5AS (rolling code is out of sync). Try pressing the unlock button of the fob 8 times to sync it with the 5AS. If that fails, try the lock button 8 times. If that fails, try pressing the two buttons alternately. If that fails, do the “How to change the fob battery” procedure (below) using the original battery instead of a new one. And if that fails, try searching and posting on the forums listed below. Sometimes these cheap Lucas fobs die. That’s why having at least one spare is important. Try your spare. Open the fob case, prying carefully starting at the edge with the keyring hole. Take note of the orientation of the positive side of the battery and carefully remove old battery. Very important: Press both buttons of fob one at a time for at least 10 seconds to drain any power left in the capacitors and such. I once forgot this step, and had to reopen the fob and start over. Install new battery, positive “+” side in the original orientation. Reassemble the fob case halves. Press the lock button 4 to 8 times next to the vehicle, then press the unlock button once. Forums that I used for research: mg-rover.org theminiforum.co.uk Shops that I mention: alarmremotes.co.uk tech-tronics.net lates600.com remotekey.co.uk remobilise.co.uk If you own a Rover Mini, please join the Rover Mini Owners Group on Facebook Copyright 2007 and onwards by Donald C. Lee This information is offered without warranty or guarantee of its accuracy. Use at own risk.